Rotary District Governor Deb Warner (right) presented Past President Maria Pretzer with the Every Rotarian Every Year Award, one of only 5,000 presented to clubs world-wide, and the Foundation Award, one of only three to be presented to clubs in District 5580, for members contributing at least $25 annually to the Rotary Foundation. These awards were achieved during Pretzer’s term as president. 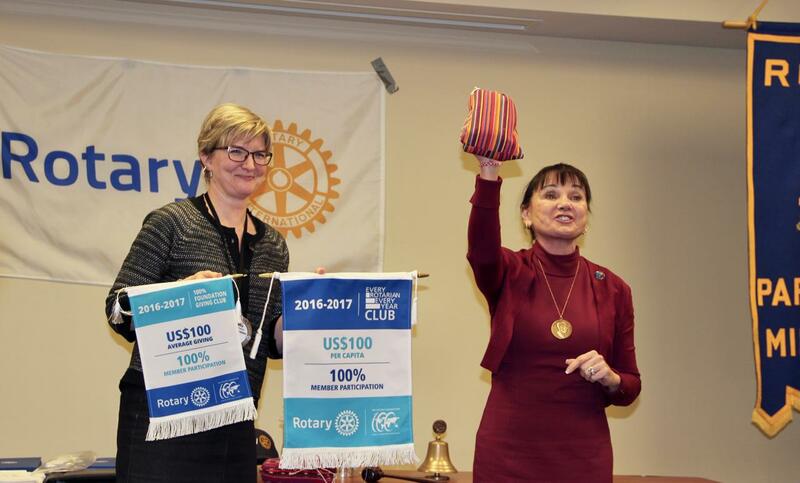 Warner and other Rotary District officers attended Wednesday’s meeting not only to present awards, but also to participate in the launch of the club’s membership drive.